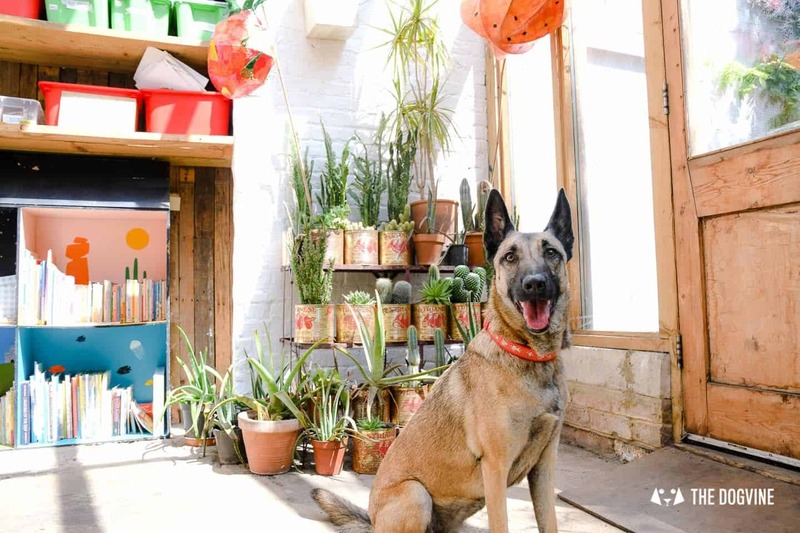 This week we are headed to dog friendly Dalston and Hackney for the next My Dog Friendly London – London by London Dogs feature with the very lovely Lyra the Malinois. 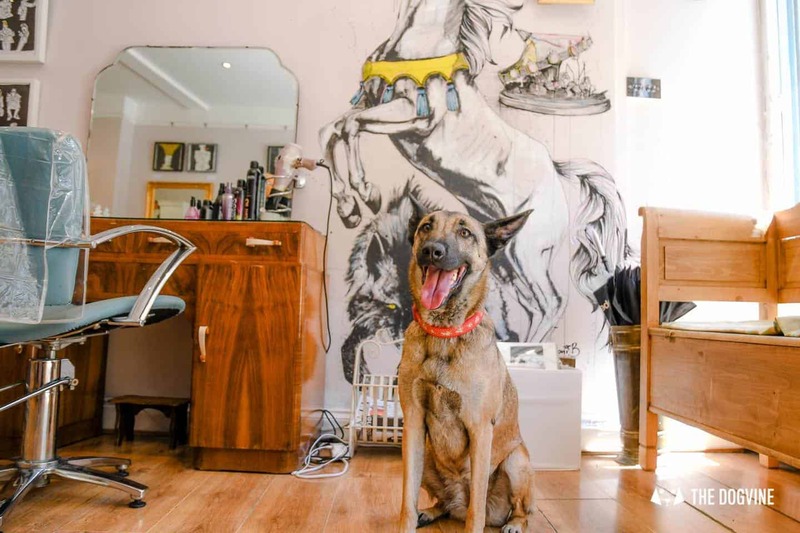 We spent the morning with Lyra and had the best time discovering Dalston and around. 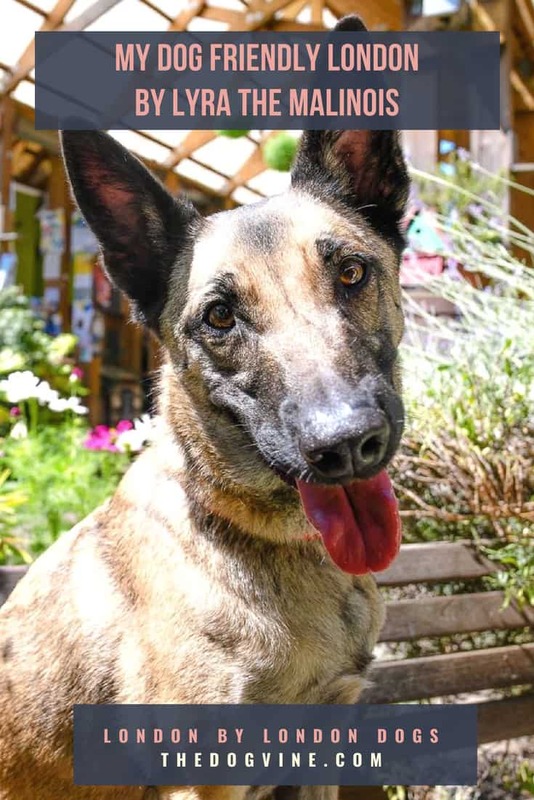 As Lyra’s mum says “a more inquisitive roving reporter you will not find, Lyra is an elegant and super sharp Malinois Belgian Shepherd who leaves no spot unsniffed and no treat undiscovered. 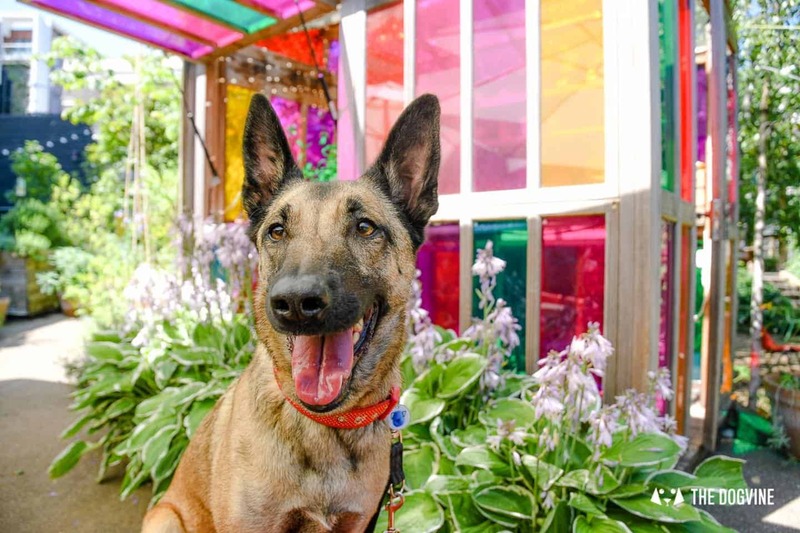 I’m Lyra (aka The Lovely Lyra on Insta), I’m about 3 years old (mum thinks) and I live in Dalston, East London. 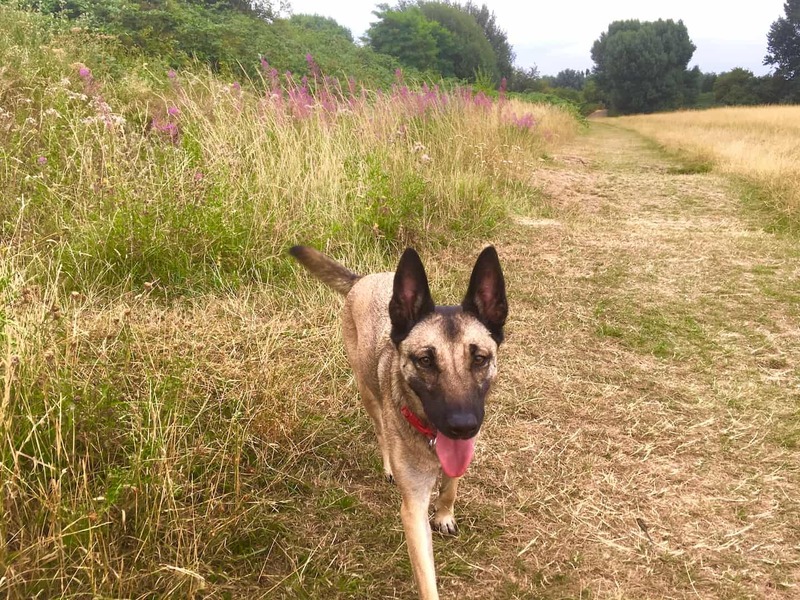 Walthamstow Marshes (behind Lea Valley Ice Rink), because the wild meadows, woods and marshes are fun to explore and there is so much space to run around and meet dogs of all shapes and sizes. There are big furry cows to watch in summer, and plenty of splashy mud in winter. My squirrel and football obsession means this is a better bet than the adjoining Hackney Marshes. 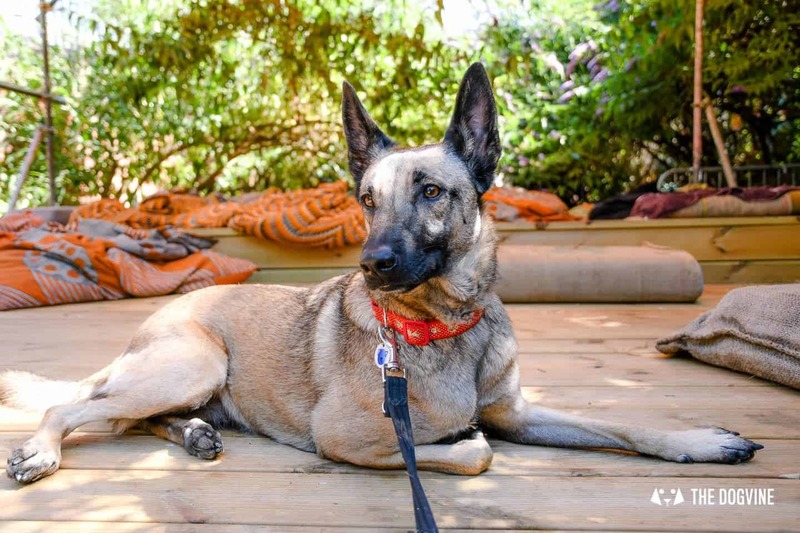 I’m a lively Battersea rescue dog, and my human says my training is an ongoing project but what she doesn’t realise is that it’s me teaching the humans. Let’s just say I know exactly what I want AND how to get it. 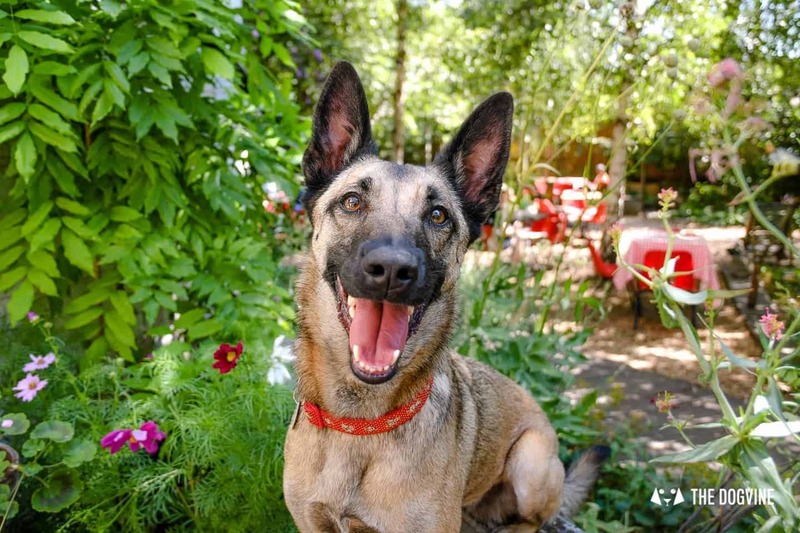 Even though I didn’t have the best start in life, nothing phases me and I love all dogs and people alike (my best friend George is a chihuahua). 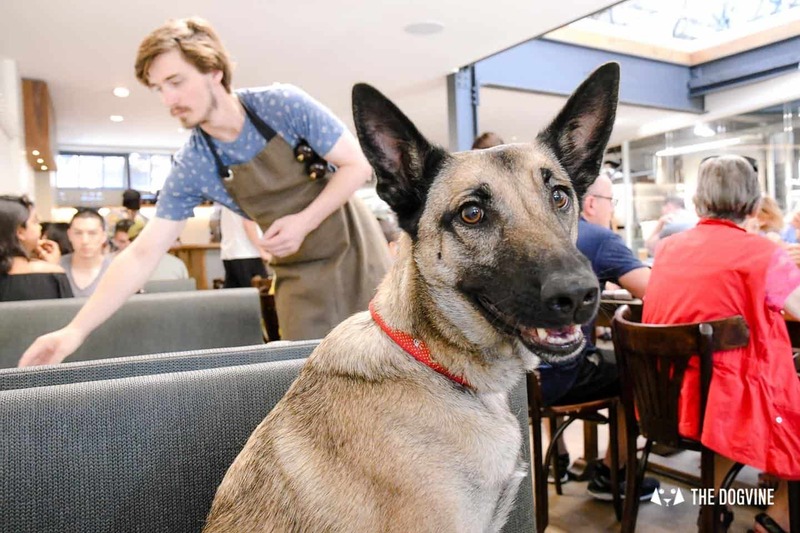 Why do you like the Allpress Roastery & Cafe / what makes it special as a dog friendly venue? 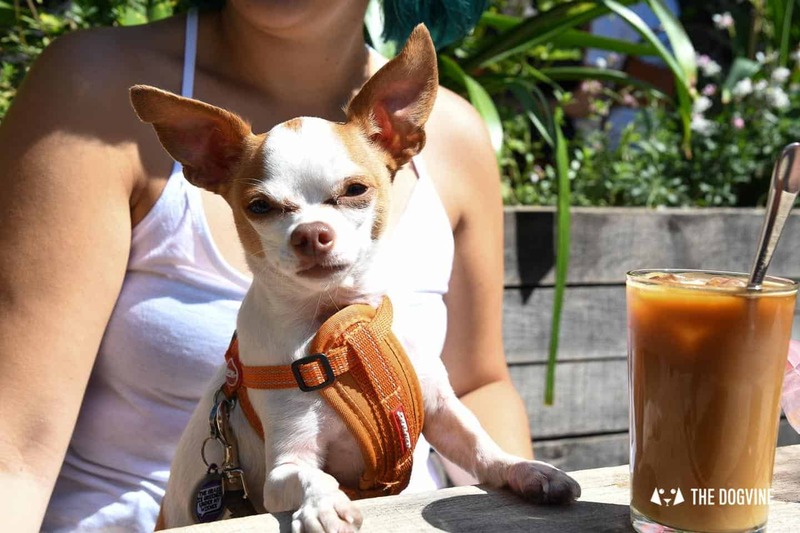 Not to mention that the human says the coffee here is off-the-chart amazing, this beautifully designed cafe and outdoor space is fully dog friendly throughout. I try to wait patiently for remains of soft-boiled egg and buttery sourdough soldiers to fall my way whilst enjoying a lounge on the ultra-smooth cool wooden floor (or on the seats). They roast the coffee here and it always smells fabulous. And there’s more seating in the front garden with different textures to walk on and flower beds to check out. 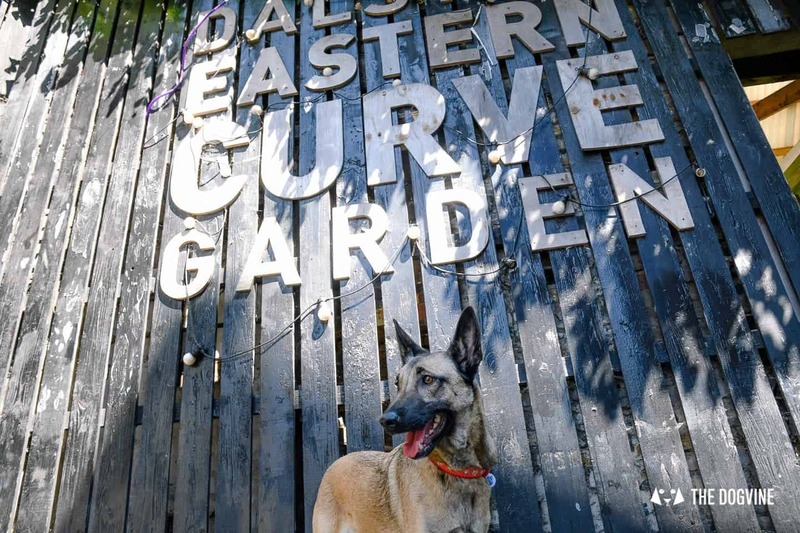 Why do you like the Dalston Eastern Curve Garden / what makes it special as a dog friendly venue? 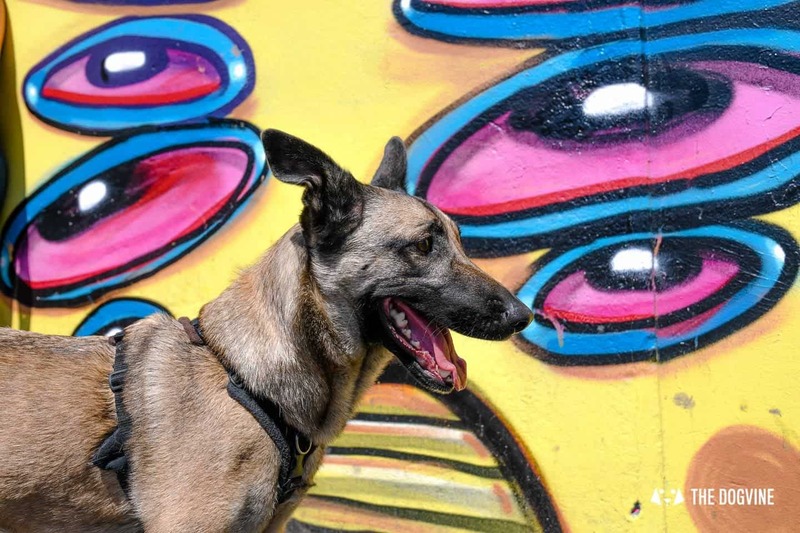 From the famous Hackney Peace Mural outside, to the leafy oasis of beautiful trees, artwork and jumbles of nature friendly planting that you’ll find inside the gates, there is lots here for humans and dogs alike. I love it because there are so many things to smell and explore. Main draws for humans are the beautiful surroundings, craft beer, natural ice lollies (I really like these too) and pizza cooked in a wood-fired clay oven, all enjoyed al fresco. For cold wet days there’s a covered area and a heated greenhouse to sit in. The garden is totally enclosed and us dogs can be off-lead providing they are under control and it’s not too busy. About 11am, soon after opening, is the quietest time, and if your dog isn’t into free-range little humans, come in the evenings where it’s mainly big humans. 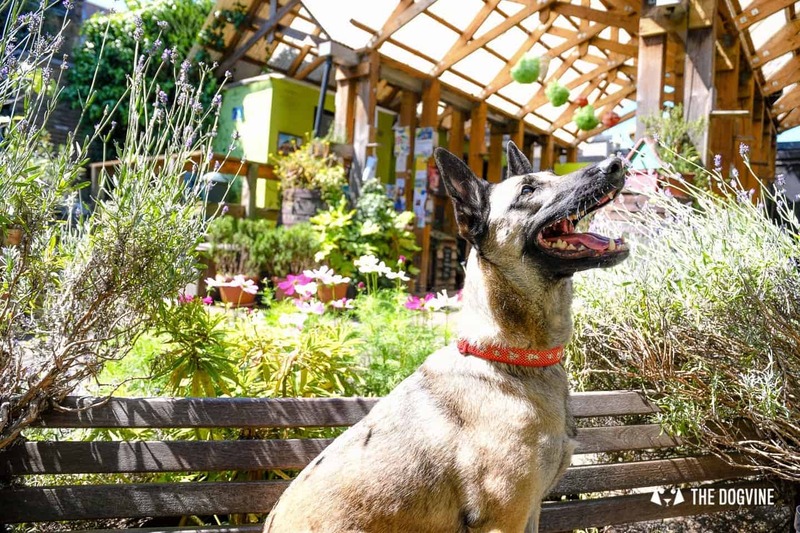 You can bring your own food and don’t have to buy anything, but please do, as all profits are put straight back in to this volunteer-run community garden. And watch out for the regular art and music events too. 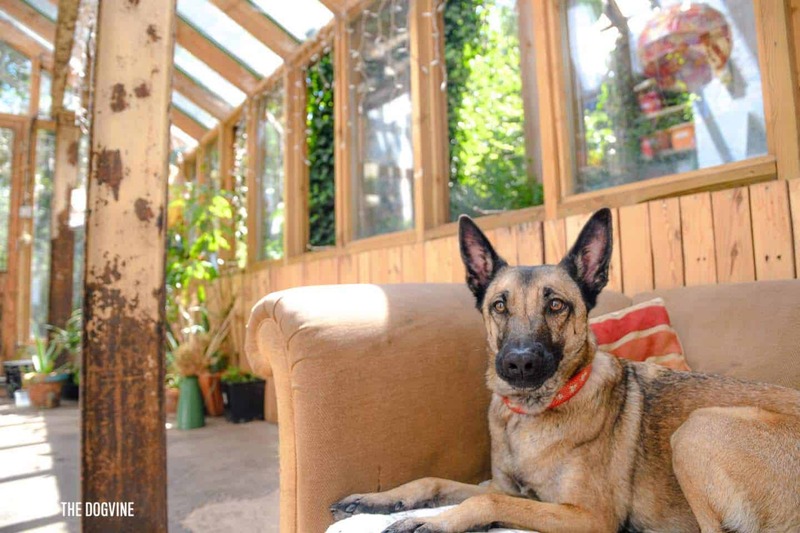 Why do you like The White Heart / what makes it special as a dog friendly venue? 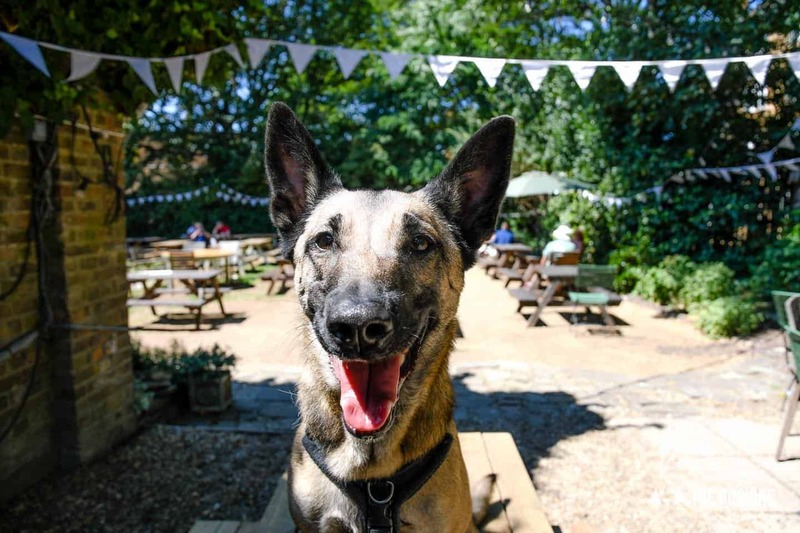 This traditional boozer with its grassy and fully enclosed back garden is perfect for dogs as there is lots of space to spread out, free dog treats and a hecking good welcome from the friendly staff. 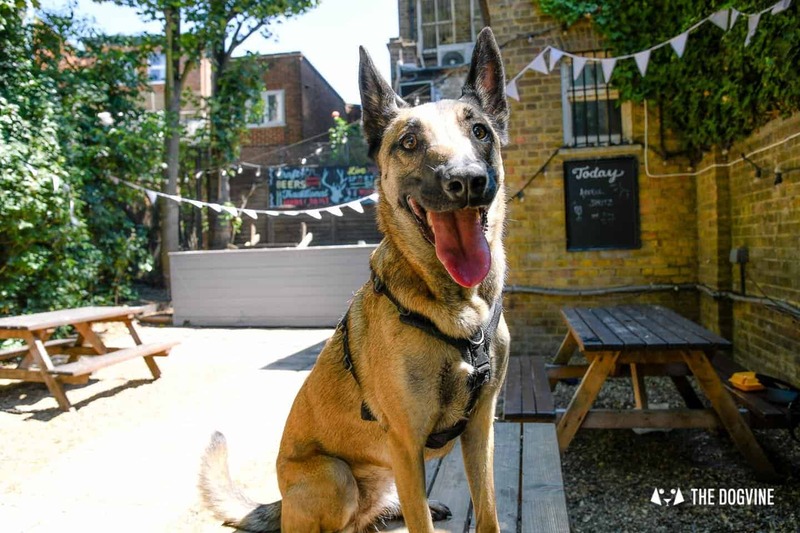 Pubs with quality outdoor space are increasingly rare in this part of London and that’s what gets this pub a big woof of approval from me. The home-cooked food is great, with a varied menu that includes a Sunday Roast. There are toasty open fires in winter. 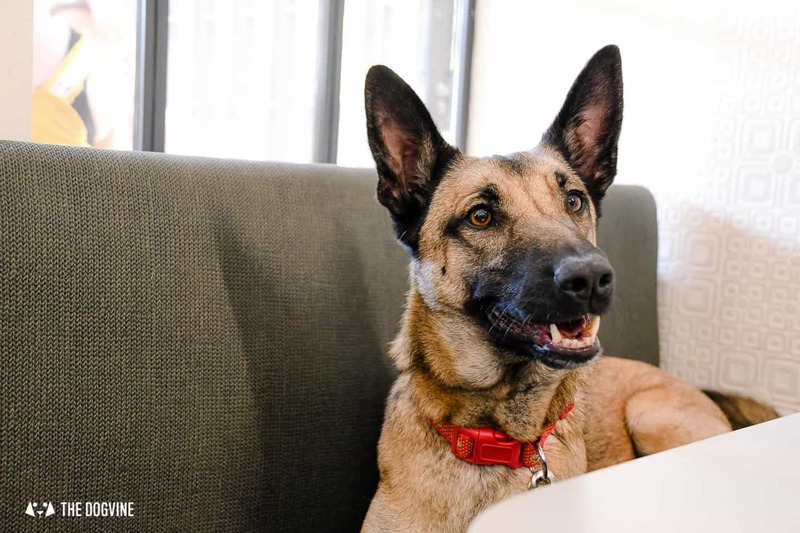 Big screens mean it’s very busy for Arsenal and international football matches, so you might want to avoid these unless your dog is a fan. 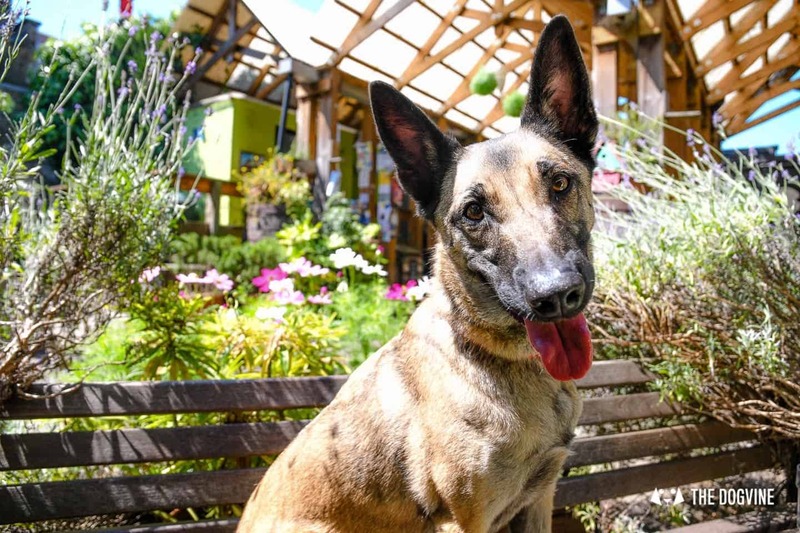 Why do you like Beaucatcher’s / what makes it special as a dog friendly venue? 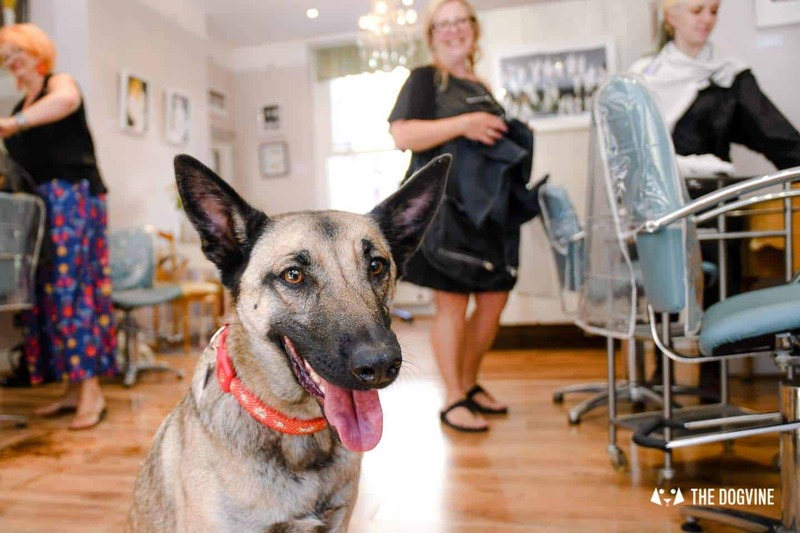 Very much a groomer for humans, specialising in beautiful haircuts and creative colour that keeps hair healthy. My human nearly fell off her chair when she was casually told to bring her dog next time. And she was suitably impressed upon arrival that I was offered a drink before her when she did. 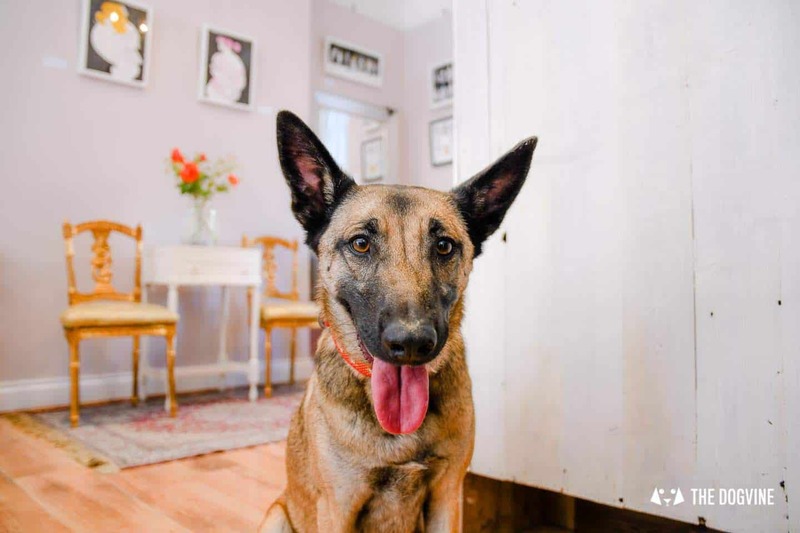 Beaucatcher is a small boutique-style salon with a relaxed atmosphere and personal service that will make the humans feel truly pampered. 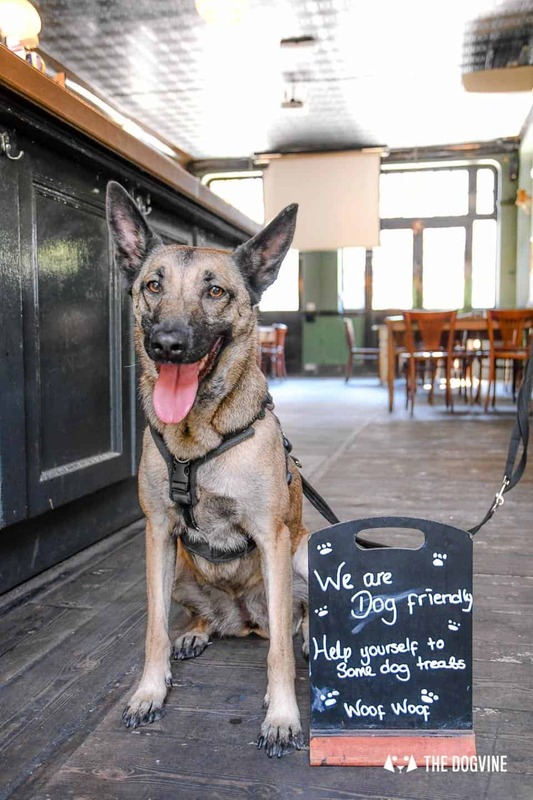 Dogs that are friendly and under control are always welcome here. The sumptuous decor and regular art exhibitions just add to the fun, and there’s a small outdoor space for sniffies too. 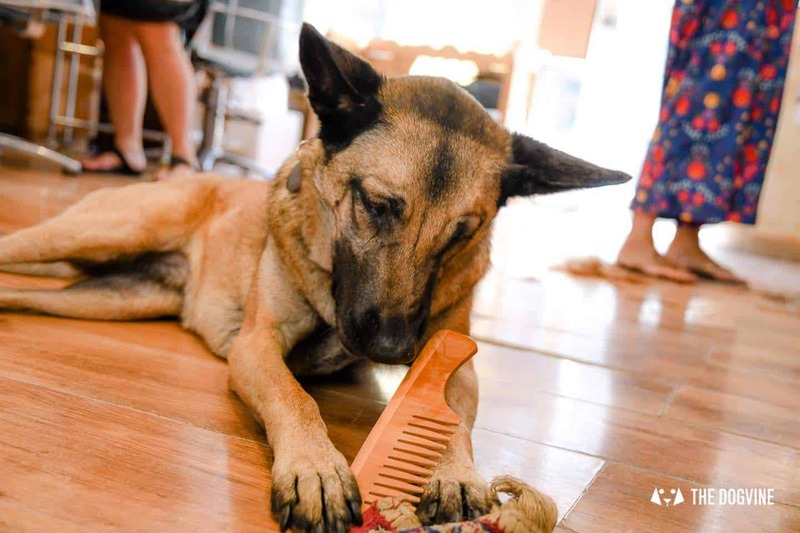 My top tip would be to start with a lovely walk in nearby Abney Park Cemetery or Clissold Park, and bring whatever your dog needs to stay happy and relaxed while you have your cut otherwise Beaucatcher’s may need to restock on combs. 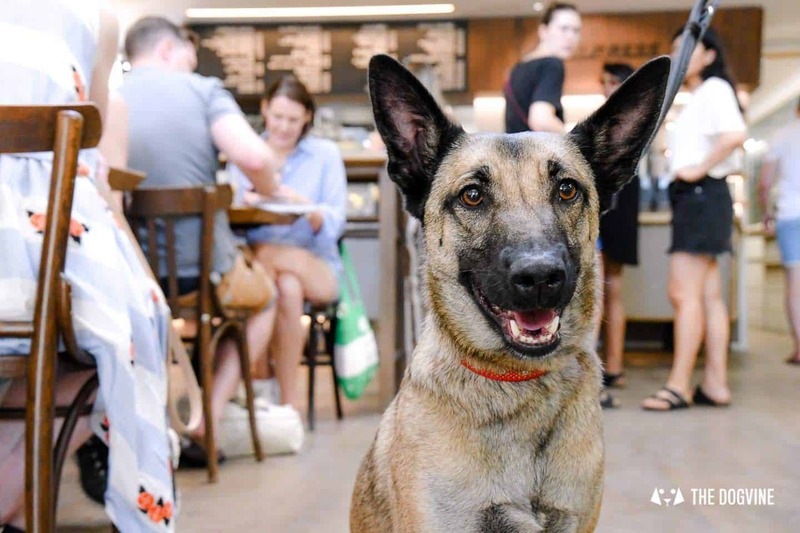 Thank you Lyra for sharing your top tips in your My Dog Friendly London by Lyra guide to dog friendly Dalston and Hackney. 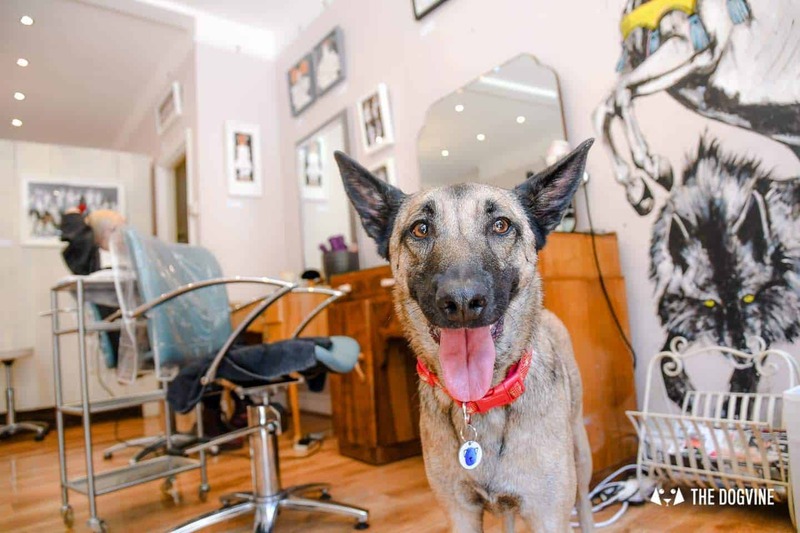 We loved your choice of dog friendly London places and now we know where we can get a dog friendly haircut which is a bonus! 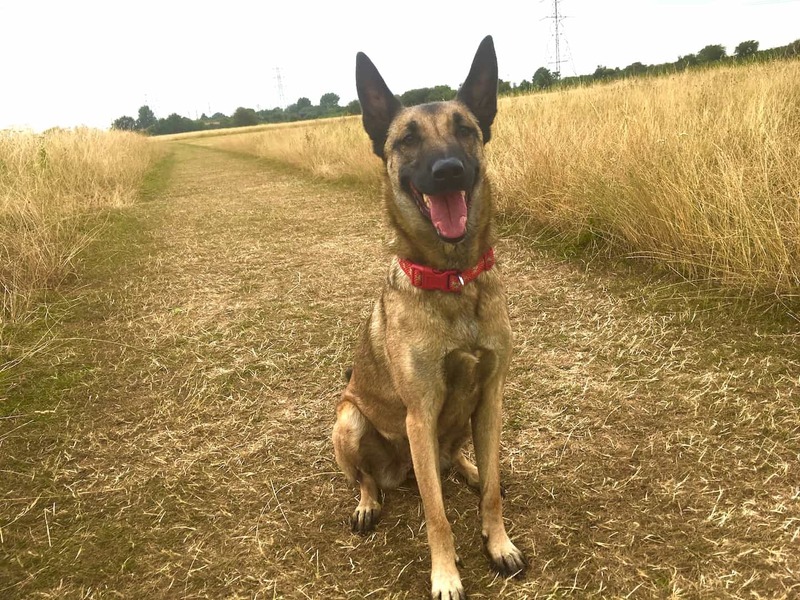 Keep up with what the very lovely Lyra gets up to on Insta (with occasional guest appearances by her best mate George the Chi). Catch up with the last episode My Dog Friendly London by Amber the Cav in case you missed it. 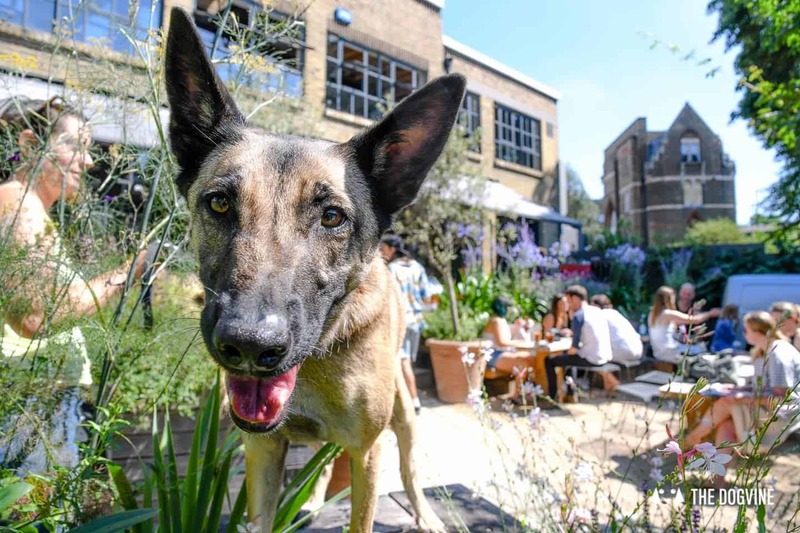 Look out for the next episode coming soon with more top dog friendly London tips from London Dogs!